Tutor - Lessons in Maths, English, Science, Geography, History. English tuition from Reception through to & including GCSE/ A level.. Extra help & support Key stage 1, Key stage 2, Key stage 3 & Key stage 4 English. Course & exam support for English Language & Literature A Levels. Westhoughton, Leigh, Bolton, Horwich, Lostock, Chorley, Blackrod, Wigan. Improve your childs understanding of English. Reading, writing and speaking are clearly life skills which students need to access all other areas of their education and to communicate their ideas effectively in adult life. The National Curriculum states that 'English is both a subject in its own right... understanding the language provides access to the whole curriculum'. However, the learning of these skills can be both frustrating and stressful for children and their parents. From booster sessions to improve literacy skills, reading and spelling through to the new 9-1 GCSE English and English Literature, tuition can help students to gain confidence, learn new skills and understand exam techniques. Academic challenges can be provided for those who do not find this in school, wish to make the transition to private education or to settle into the first year of secondary school when the all important tests take place to set pupils according to ability. As a fully qualified English teacher I have the specialism and knowledge to provide high-quality English tuition, whilst at the same time the enthusiasm and energy to make sessions enjoyable and rewarding. Acquiring literacy and reading skills is vital in the early years of your child's school life. Many children can find this challenging and frustrating, needing more individualised and higher focus lessons that aren't available in the demands of mainstream. Sessions will concentrate on one or more of the following areas to build skills and confidence: phonics (for reading and spelling), spelling, punctuation, grammar and vocabulary. Following an initial assessment, lessons will be tailored to your child's requirements. A wide range of activities using information technology, working on paper or completing games will not only improve fluency but also ensure that your child is motivated. Preparation for SATs which many children find stressful will enable them to perform better and achieve the success that they deserve. For those who wish to be entered for entrance exams, students will be taught how to write fluent, well structured essays and know how best to answer the exam paper. In addition, verbal and non-verbal reasoning can be taught, these being areas not taught within mainstream and so generally are unfamiliar. The SATs exams were altered from 2016 onwards and now pupils are expected to rank or order events, complete short structured responses, as well as answering open-ended questions. In addition there is a grammar, punctuation and spelling test. This involves children identifying parts of sentences such as adjectives and modal verbs. Many students find it hard to make that transition from primary to secondary, thus they can make little progress or even lose ground within their first year. But, this is a vital time when students are assessed and targets set that can affect the rest of their educational life. By building upon their knowledge gained within primary school, sessions can ensure progress at such a crucial time. Undertaking an initial assessment of your child can identify gaps in knowledge or weaknesses, so that they have the skills to improve performance not only within English lessons but also across the whole curriculum. Challenging lessons can also be provided to boost performance to higher levels, should this be required. Year Nine is another important year with options for their GCSE subjects to tests to determine how they have performed at Key Stage 3. Having the confidence and ability is crucial so that they can embark upon their GCSE years with confidence and success. Tuition will enable your child to not only acquire skills but also to know how to use them effectively. Whilst it may seem that students have a full two years to complete their GCSEs, as they begin them within May of Year 11, this is not the case. The pace of the lessons is much faster and there is little time for developing knowledge and re-visiting areas that may be difficult to grasp. In addition the English 9-1 GCSE has become much more rigorous. Individualised tutoring can help your child to get back on track, keep up and make expected progress or boost them to higher grades. Many students have found the new style exam this year much harder and it is expected that results will reflect this. Many, including parents are also struggling to understand the new grading system. As such teenagers can feel very disadvantaged resulting in under-performance as they lack confidence with the new styles of exams. Exam techniques, solidifying knowledge or explaining difficult concepts, can help your child to achieve a level four or five, standard or strong pass, vitally important for their future careers. For others, focused booster sessions can progress them to make great preparation for this new style of exam. Above all tuition can help your child to become more confident and reassured, ensuring an improved performance on the day. Tuition sessions that target English Literature, will provide knowledge not only about the texts being studied, but also the techniques required to effectively answer exam questions. One-to-one teaching will allow areas of difficulty to be targeted, a chance for your child to ask for help and accelerate their understanding. Along with GCSE changes the A Level has also changed, consequently the AS level is set to disappear and to be replaced with exams at the end of the two-year course. 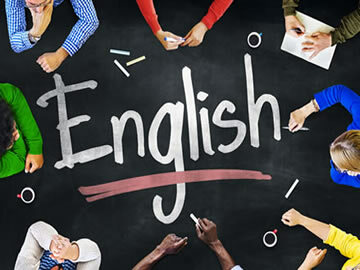 Whether it is English Language, English Literature or a combination of the two, tuition can help to make it stress free. Such an important stage in a student's life as they make the transition from GCSE to A level can at times seem impossible and fraught with difficulties. However from grasping tough concepts to consolidating ideas, having an experienced qualified tutor can make all the difference, yet still assist students to be in control of their studies. This ensures that they navigate A levels successfully and are ready to forge out careers or embark on university life. From revision or exam techniques to essay writing students will gain the knowledge required to enable them to carve out their future. I am an experienced, qualified teacher with twenty years experience in main-stream and private education. Tuition in my own home away from distractions of family life providing revision and booster sessions to children of primary and secondary ages. Maths Tuition Entrance exams, SATs, GCSEs and A levels and general subjects such as English; skills building are all catered for after an inital assessment to provide a unique individualised lesson for your child. Revision and exam techniques for all ages, including college students help young people to achieve the successes they deserve. Siblings can be taught at the same time with discount for a group session. Sessions for younger students are recommended for 1 hour, whilst older students may beneft from longer sessions.